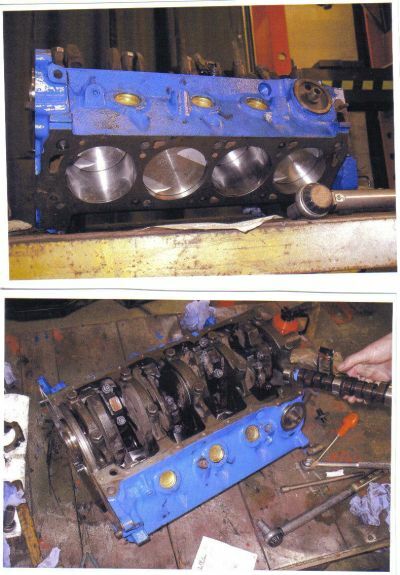 I was contacted by Mike about his ‘interesting’ engine and, once he had sorted it all out, asked him to provide some insight into his experiences, which he very kindly did, and are reproduced below. Well where do I begin? Guess at the start would be good. 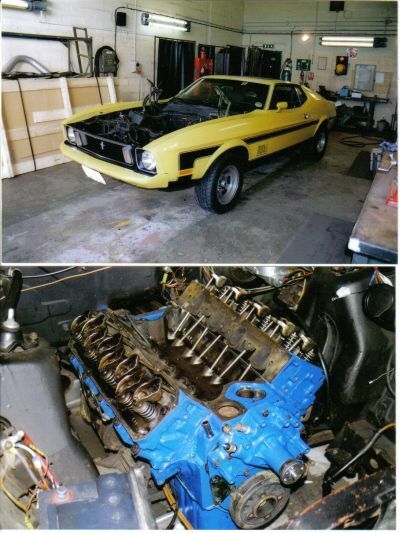 Its April 2001 & I’m looking at a 73 Mach1 found for me by Paul Gold the Ex editor of the MOCGB Magazine Round Up, my mate Neil has come with me to drive it back if I part with the readies, I’m going through an acrimonious divorce & getting over the worst case of the flu I’ve ever had, in short I’ve felt a whole lot better! The car is in quite reasonable shape, no major rust & a fresh coat of Daytona yellow with incorrect for the year hockey stick stripes painted on. 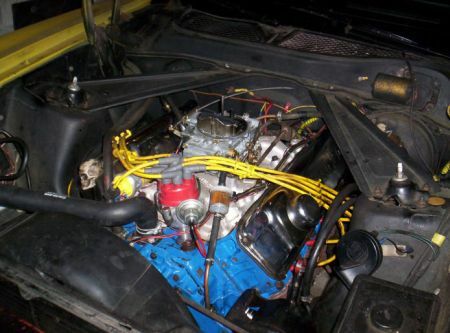 The engine is I’m assured a 351C not the original but it runs fine with no smoke of rattles, a deal is struck & we return back to Cornwall with the yellow Mach1. 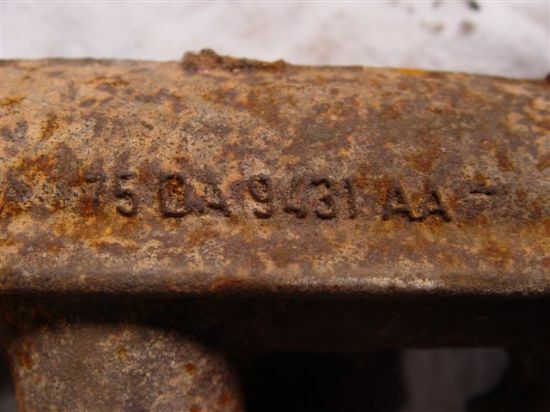 About 3 years later to the day I’m working in the engine bay & notice a series of numbers stamped above the fuel pump on the block, often being curious about the engines past I assumed (quite correctly as it turned out) that is was the VIN of the vehicle it was originally fitted, it was obvious it wasn’t a Mustang # so I put out a plea on some of the forums on the net meeting with little success until Sandy contacted me with the news that it wasn’t an American 351C but an Aussie built example that used to power a 1977 Fairmont Station Wagon, not only that it was most likely a 302, a 302? 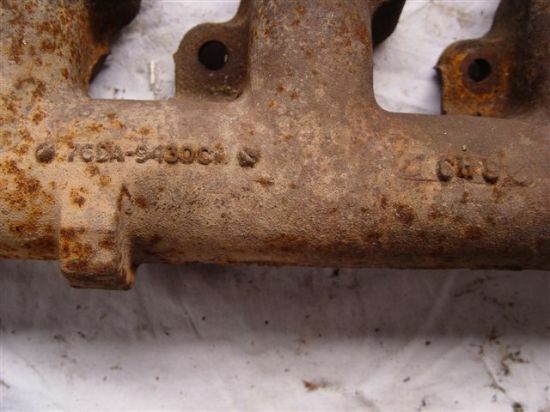 No that’s not possible a 302 is a Windsor type engine with a wet inlet manifold completely unlike the dry deck Cleveland which mine obviously was, Sandy told me to measure the stroke which came out a 3 inches exactly not the 3.5 inches it should have been, yes you’ve guessed it I had just been introduced to the little known (in the UK) 302 Cleveland. 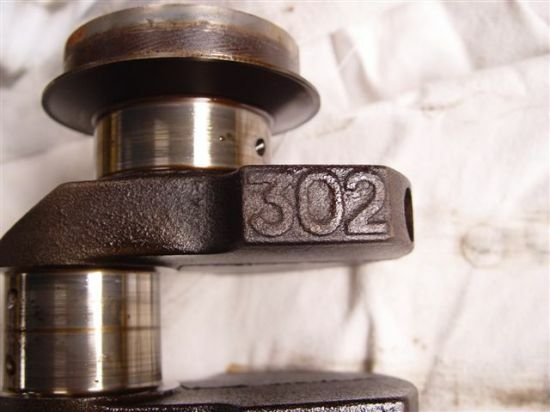 The 302c shares all the major components of the 351c save for the crank, rods & heads. 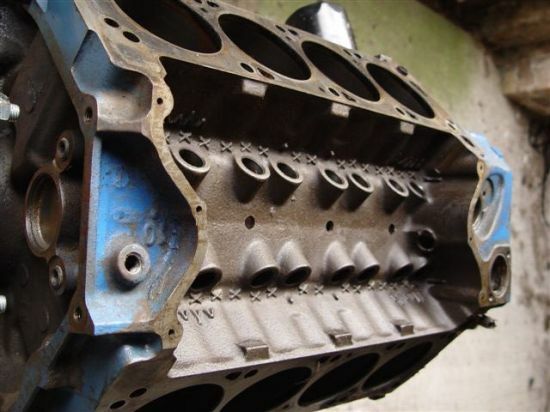 The heads have the far smaller chamber size of 58cc against the 76.2cc of the 351 2V & are of the closed chamber or quench design, which has the advantage of running a higher compression ratio without the draw back of detonation. Now after learning all this I just had to try the 302 heads on a 351, the power increase on over the 302 would be monumental but would it work? 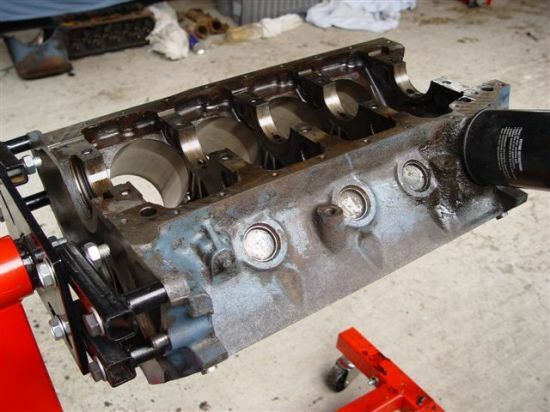 Would the compression ratio be too high? Would I blow innocent bystanders & myself up? Many of the Cleveland gurus predicted disaster but some thought it was ok but weren’t sure. 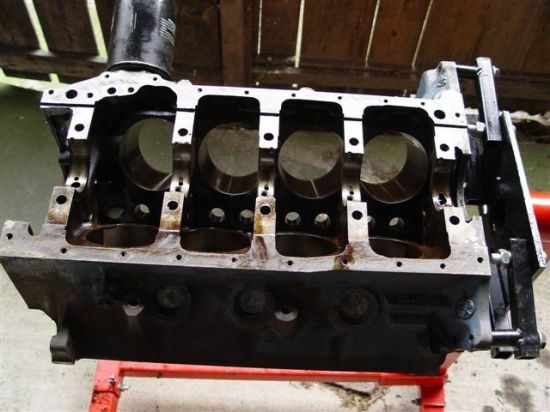 Only one way to find out & that’s to get on & do it, my original plan was to simply use the 302c block as it was & fit a 351 crank & rods, unfortunately that plan wasn’t to be, on stripping down the engine I found that at some time a cylinder had be relined very badly & would not be suitable, the only other alternative was the block that the crank & rods came from but that had a question mark over it as I had been assured it was cracked & also it was in a desperate need of a re-bore, also we had been using it as cricket stumps at work & the heater bypass tube had got smashed off, on the grounds of beggars cant be choosers it was dispatched to a local engine recon firm who crack tested it & low & behold it got the all clear & would take a re-bore! 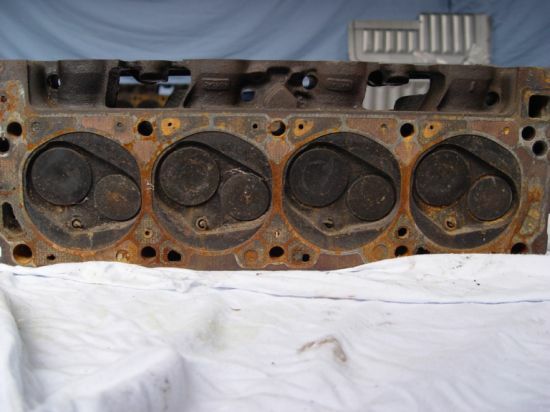 By chance a friend had a set of forged +30 pistons made by Federal Mogul also I purchased a Comp Cam 268 kit, the block also needed new cam bearings & core plugs, so by now I was well down that well-known slippery slope “the money pit”. When the block came back the donkey work began with an hour long session on the pressure wash getting the water & oil galleries flushed through, Cleveland blocks tend to silt up around the rear water channels & this 31 year old block was no exception, with the gallery & core plugs installed block clean & dry a coat of Car plan blue engine paint was applied, this isn’t exactly like Ford engine blue but is close enough. Assembly was unremarkable in the extreme; the crank, which had a 10 thou regrind, was installed using a graphite based paste on the journals to protect them on start up, I measured the ring gaps before installation & found the only tight on was an oil ring which is most unusual, the cam was installed with the special lube supplied & new Comp Cam timing gear was bolted up to it. 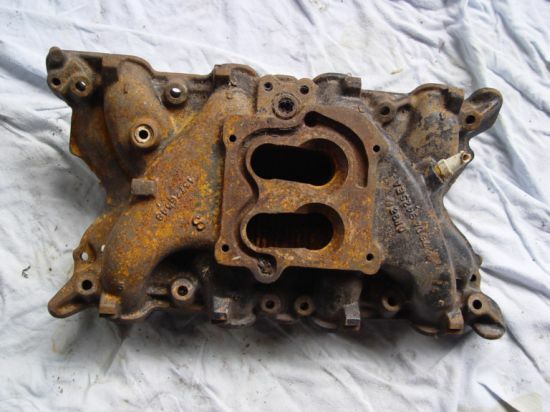 A new oil pump was sourced from Real Steel & only cost £28 & was bolted in. The heads needed very little doing to them, I re-lapped the original valves in, I would have liked to use single groove stainless efforts but as I wasn’t intending to rev this motor past 5500rpm I reckon these will be OK, Edlebrock springs were used as were new Comp Cams retainers & hydraulic lifters. About this time I had the Flu (again!) which put me on my back for a couple weeks which was so frustrating being so close yet so far, when the great day came for a fire up attempt I was thwarted by a knackered battery & leads, with a high comp motor you need as much volts & amps getting to the starter as possible, with this sorted I tried again, the engine spun over well but wouldn’t start & was backfiring flame through the carb, a quick inspection revealed the timing was 180 out…. whoops my bad! At last it was running, it ran well from the word go, a small amount of tweaking of the ignition timing it was off to the MOT station, it was about then the heater core let go & filled the car up with coolant & steam, I hasten to add it used to leak a little before but the old 302 never had a thermostat fitted so the extra pressure & new antifreeze finished it off big time. 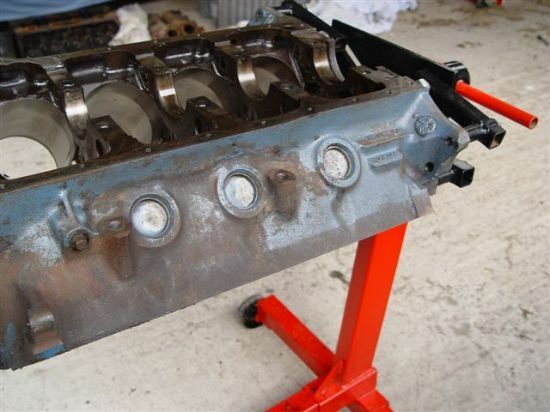 Now it’s all run in I can report that there are NO detonation issues providing Premium unleaded or Proper 4 star fuel are used, it goes like stink & revs well, it also produces loads of low down torque so much so its necessitated the fitting of a shift kit for the C4 box. Would I recommend it? You bet! 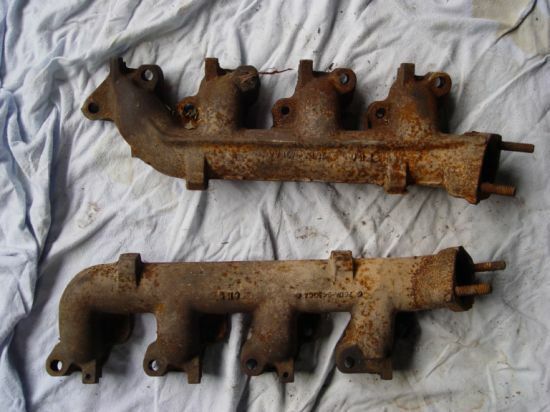 Mike also supplied us with the two photographs showing the difference between open and closed chamber heads, here. 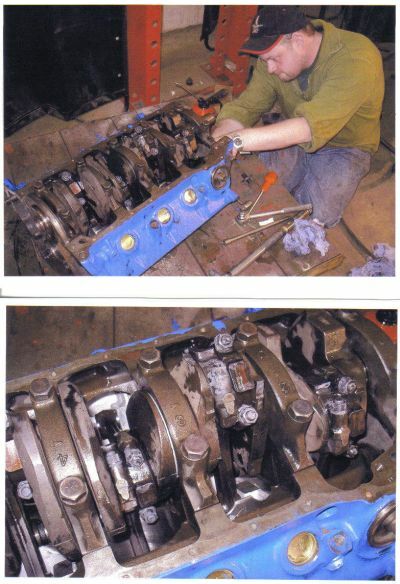 John has acquired an Australian 302Cleveland and here are some photos of the dis-assembled engine. 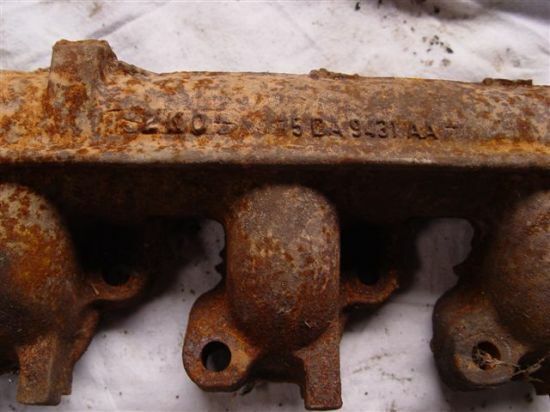 The part number and casting date, 6B16; 16th February, 1976. Where these markings are located on the block. 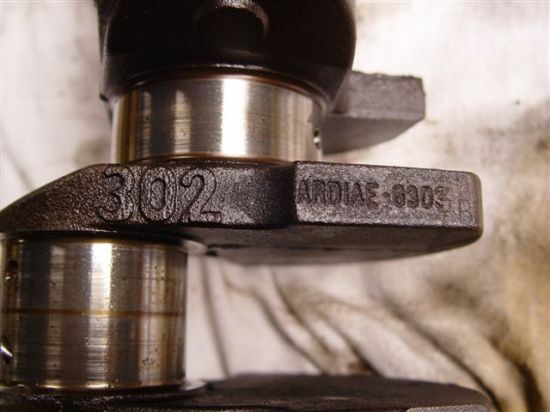 The crank, part number, and just so you cannot confuse it with a 351 crank, a ‘description’. Note that the part number very much follows the U.S. pattern apart from the ‘AR’ in front of it which stands for ‘Australian Redesign’. 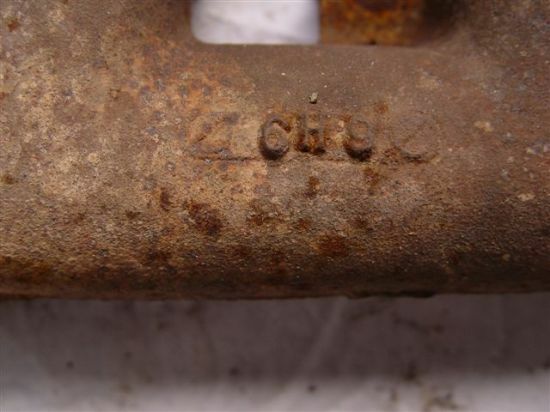 The right hand - from the drivers seat - exhaust manifold. 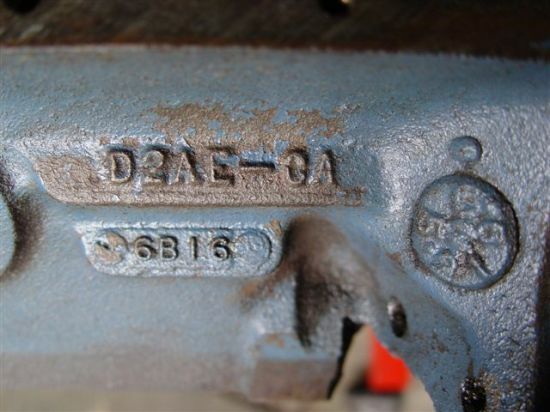 Note that Australian designed parts that did not use the ‘AR’ instead have ‘76 DA’, 1976 being the year of design. 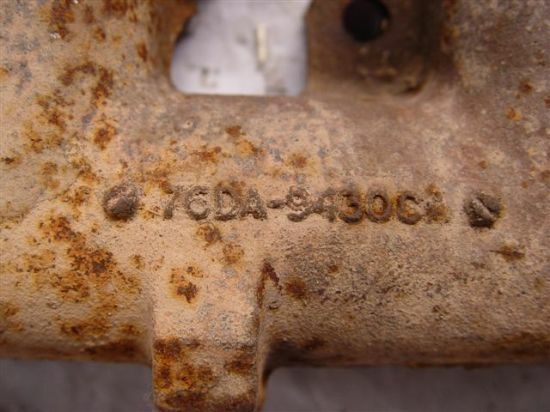 It is worth noting, and it is can be somewhat confusing, that Australian Cleveland, 351 and 302, engine casting dates reverted back to day, month, year. 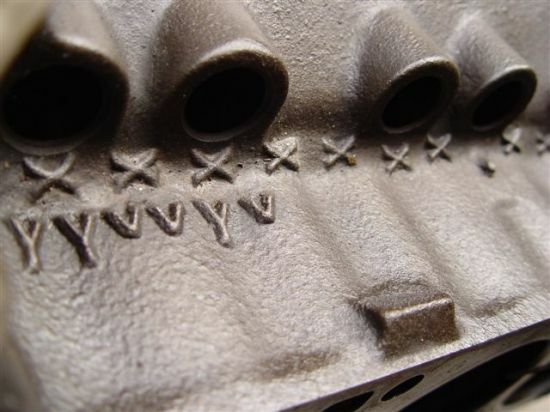 If you consider the inlet manifold above. 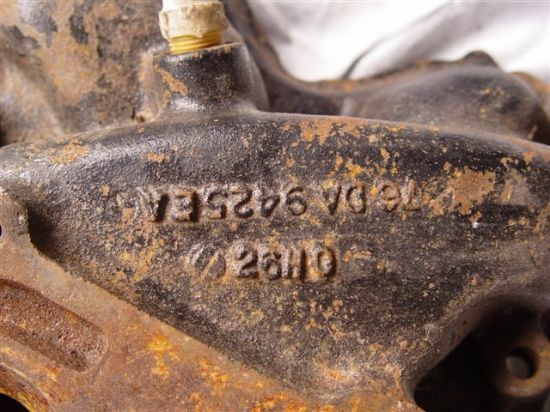 It is obvious that the original, year, month, day, does not hold true, and that this manifold was cast on the 26th of August, 1980. 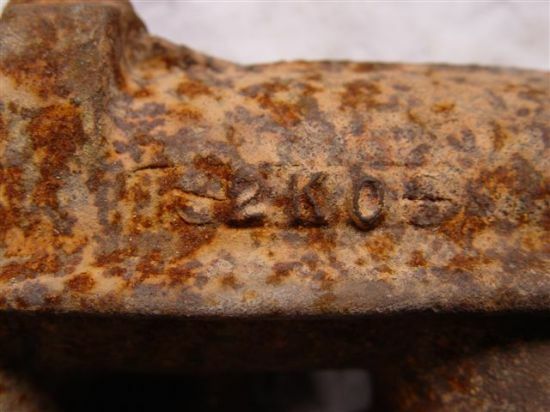 The left hand manifold is: ‘2K0’, 2nd of October, 1980.